The Behavioral Health Center of Excellence (BHCOE) has awarded STE Consultants with an Award of Distinction, recognizing the organization as a top behavioral service provider in the country. BHCOE is a trusted source for recognizing exceptional special needs providers that excel in the areas of clinical quality, staff satisfaction and qualifications and consumer satisfaction. Using standardized methods and practices, the organization acts as a third-party to measure and report on existing quality criteria in the behavior analysis community, through interviews with agency clinical leadership, detailed staff qualification review, an anonymous staff satisfaction survey and an anonymous consumer satisfaction survey. BHCOE awards only those service agencies that meet elite standards. 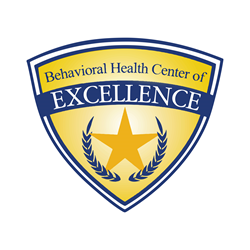 The Behavioral Health Center of Excellence is a trusted source for recognizing top-performing behavioral health providers. BHCOE offers a third party measurement system that differentiates top services providers from exceptional services providers. The BHCOE criterion features standards developed by subject matter experts to measure state-of-the-art behavioral health services. The organization’s partnership with Love My Provider, an online review site of services for families impacted by special needs, allows awardees to be featured as a Center of Excellence and receive referrals from LoveMyProvider.com. For more information, visit http://www.bhcoe.org/. Located in Berkeley, CA, STE Consultants collaborates to offer creative and ethical behavioral services with integrity and passion throughout the Bay Area. The highly-skilled staff, which includes 150 Board Certified Behavior Analysts (BCBAs), Behavior Skills Trainers, Clinical Interns of Behavior Analysis (CIBA), Lead Behavior Technicians, Behavior Technicians and 1:1 Behavior Aides, is committed to creatively approaching clinical and business challenges in order to offer clients services that meet their needs and exceed their expectation. For more information, please visit http://steconsultants.com/.